This is Mr Michael Dayani, he owns and runs S&S Service Center and is located on Grand Blvd & Moog Road here in New Port Richey. His services include car repairs, full car service, as well as a towing service. Unfortunately, Mr Dayani was involved in an accident of his own last week. He came to use here at Baywest Health & Rehab where we are able to provide our own service on him. He fixes cars, we fix bodies. 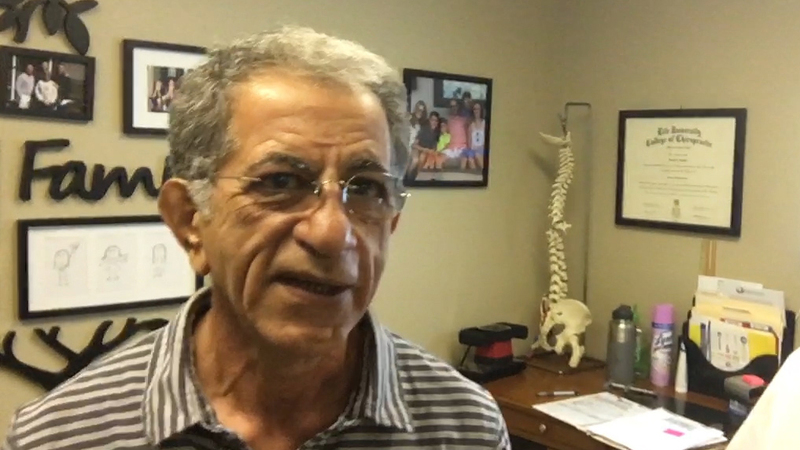 We meet all kinds of people in our practice and many of these people are like Mr Dayani in that they are all small local business owners. We like to give them a little shout out as we believe in keeping business to our locality as much as possible. So if you have any problems with your car, or it needs a service, why not give Mr Dayani and his team at S&S Service Center a try and let them take care of your car. In the meantime, I’m going to take care of Mr Dayani and help his injuries from his accident to heal and we can get him fit and better again soon. Don’t forget we at Baywest Health & Rehab specialize in accident injuries and have done so for many years, helping patients firstly becoming fit and well again, and also for helping them with the appropriate documentation based on treatment they have received from us to furnish their attorney or insurance companies with should they wish to make a claim. So if you’ve been involved in an accident recently, do not hesitate in giving us a call 727 372 0091.